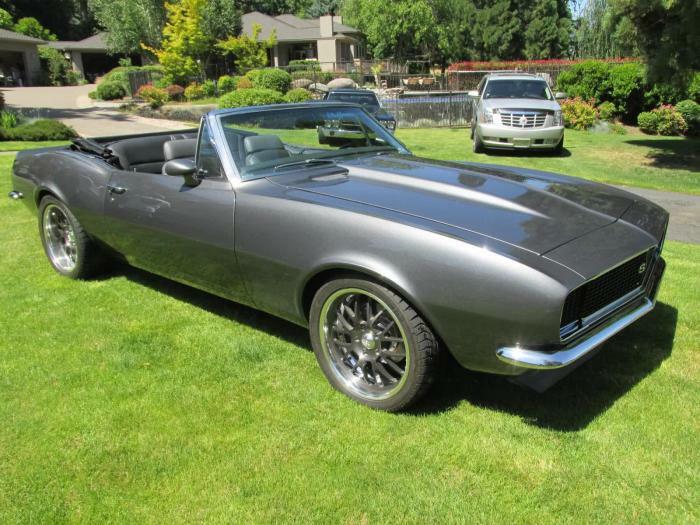 One of the nicest Camaro convertibles ever. Completely re-done starting with the acid dipped body, all new Detroit Speed suspension, aluminum radiator with dual fans, newly built 400 ci small block with aluminum heads, Holley 650, Lemons custom headers, and serpentine system. 12 bolt posi, and 18" wheels. New interior and dark metallic gray exterior finish. This beautiful car will drive anywhere with no problems.